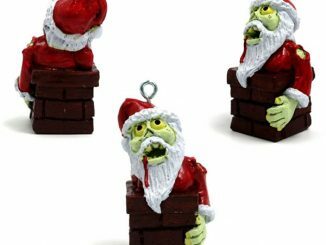 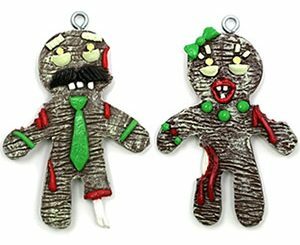 We’ve seen the Gingerbread Zombie Ornaments, which featured designs for a mom, dad, child, and baby, allowing you to recreate your whole family, zombie-style, on your Christmas tree. 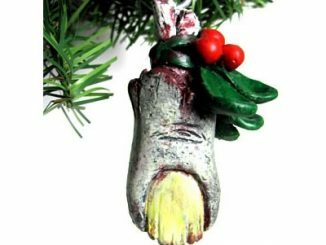 Yet for many of us, our pets are part of the family. 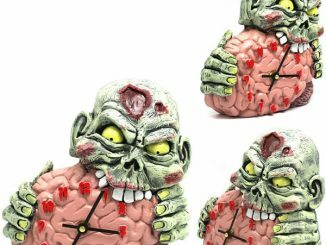 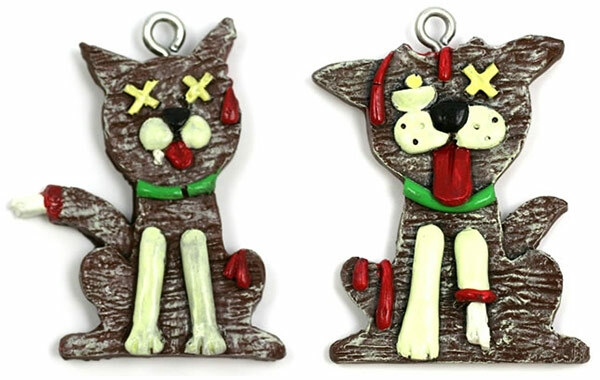 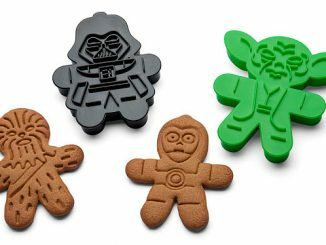 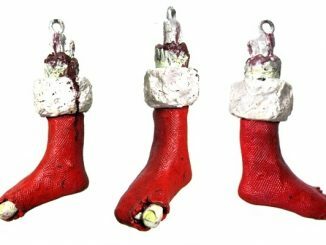 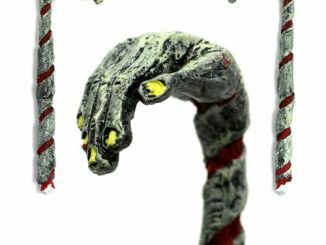 Fortunately, you can now include Fluffy and Fido in the fun with these Gingerbread Zombie Cat and Dog Christmas Ornaments. 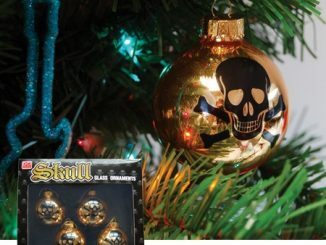 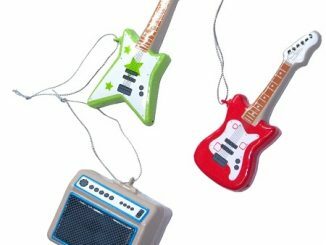 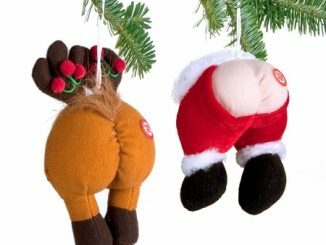 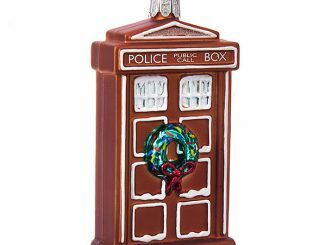 These will perfectly match those other ornaments too, as they are handcrafted in the USA by the same artisans at Odd Art Fabrications. 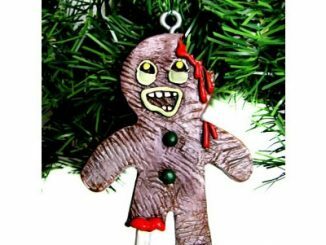 Gingerbread Zombie Dog and Gingerbread Zombie Cat Christmas tree ornaments are available for $9.95 each exclusively at Neatoshop.